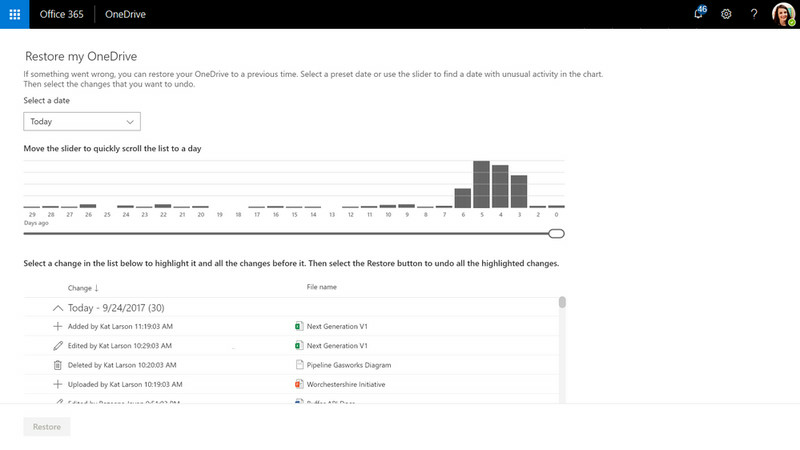 Microsoft’s newest OneDrive for Business feature lets users restore files from any point in time over the past 30 days. Files Restore, as Microsoft calls it, lets users review changes made to files over those 30 days, including who made changes and at what time. They can then revert the file back to any prior state. 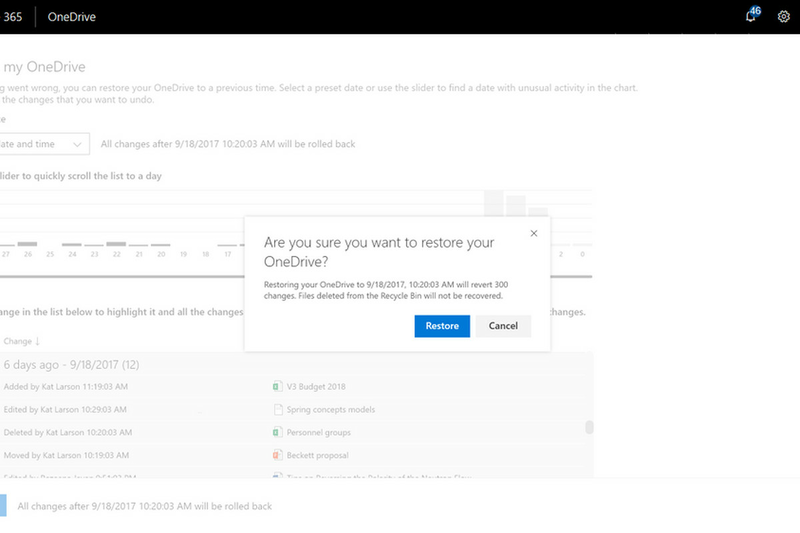 The feature starts rolling out today to OneDrive for Business users, and will also work for recovering user-deleted files as long as they remain in the Recycle Bin. It seems relatively intuitive with the file names laid out, the exact time and date they were modified, and a list of who accessed them. Microsoft suggests using this feature if files are infected with malware, or if they want to see who might be tampering with documents, which makes sense. I just wish this feature would come to regular, non-paying users.